As Kabulis commemorated Ashura, the holiest celebration on the Shi'ite religious calendar, scores of black-clad civilian recruits strapped with ammunition and brandishing rifles lined the streets of the Afghan capital. Trained and armed by the Afghan government, they were been paid to protect their own -- members of the Shi'ite Hazara minority -- for the September 20 religious holiday that has been marred by devastating militant attacks in the past. But in the run-up to the event, some Hazara questioned whether the government's deployment of Hazara men -- and even plainclothes women -- would be enough to ensure their safety. As a spate of attacks targeting Shi'a in Kabul took place the capital, suggestions were made that it was time for the community to take its security into its own hands. There is no evidence yet that Hazara in Kabul have carried through with the idea, but calls have grown louder. 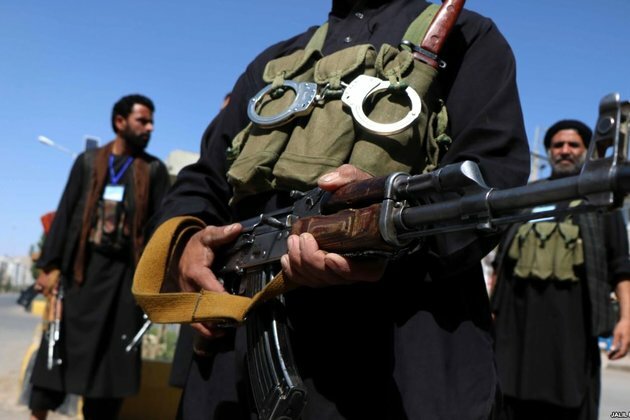 Analysts balk at the idea of communities arming themselves, saying it would be dangerous and noting that ethnic militias fought over control of the city during the country's devastating civil war in 1992-96 that killed some 100,000 people and left most of Kabul in ruins. But leaving their safety up to the authorities does not sit well with residents of Dasht-e Barchi, a predominately Hazara neighborhood in west Kabul where suspicion of the government is rife and anger is widespread. The neighborhood was the scene of two devastating attacks in the past month alone. Twin bombings at a sports club killed 26 people and wounded over 90 on September 5. On August 15, 40 students were killed and 67 wounded after a suicide bomber detonated his explosives inside a classroom. The bombings were all claimed by the Islamic State (IS) extremist group that sees Shi'a as apostates who should be killed. 'We don't have any trust or confidence in the government,' Hassan Rahimi, a resident of Dasht-e Barchi, tells RFE/RL by telephone. Rahimi accuses the administration of President Ashraf Ghani of stoking tensions and favoritism in favor of his own Pashtun ethnic group, the largest in Afghanistan, claims that have been denied. 'If they can't protect us then we should protect ourselves,' Rahimi says. His 19-year-old twins were killed in the August 15 bombing as they sat in a classroom preparing for university entrance exams at the local Mawoud Academy. Ali Haidari was wounded in the car bombing that struck outside the sports club in Dasht-e Barchi last month. Haidari says he was about 20 meters from the vehicle when it exploded, sending several pieces of shrapnel into his legs. He suffered burns to his face, arms, and legs. Ahmad Shuja Jamal, an Afghan analyst who researches security and human rights issues, says that after repeated attacks that have killed or injured close to 1,000 people, often in incidents the people believe were entirely preventable, the residents of Dasht-e Barchi believe they are better placed to provide security to mosques, schools, and sports clubs. 'The idea is not so much that the people want to supplant the state or assume some of its responsibilities, but that they see the state as repeatedly failing to protect them and consider that there is no chance of improvement in the government's performance in the foreseeable future,' Jamal says. Afghan security forces and intelligence have largely failed to thwart militant attacks in Kabul, which for years has been targeted by brazen suicide bombings, rocket attacks, and assassinations despite the deployment of additional security checkpoints and personnel. Afghan security officials secure the venue of a mourning procession ahead of Ashura in Herat on September 20. To fill the security gap left by depleted police and security forces, the government first trained and armed Hazara civilians during Ashura in 2017. Since then the government has armed civilians to protect mosques and holy sites in predominately Hazara areas in Kabul throughout the year. Shi'ite Muslims make up around 15 percent of Afghanistan's population, which is largely Sunni. Hazaras account for 10 percent of the country's population and are the overwhelming majority of Shi'a in Afghanistan. Ali Adili, a researcher at Afghanistan Analysts Network, an independent think tank in Kabul, says Hazara politicians have heaped pressure on the government to take extra security measures to protect Hazara areas in Kabul. But he says there are also people making a unilateral call for arms. Controversial civilian forces exist across Afghanistan, where they have been accused by residents of human rights abuses. Former warlords from different ethnic groups, including Hazara strongmen, have been accused of maintaining personal militias. The U.S. military has also trained pro-government village militias known as Afghan Local Police across the country, including in volatile Hazara areas outside Kabul. Afghan Shi'a flagellate themselves with chains during a mourning procession commemorating Ashura in Herat on September 20. Self-defense groups could also exacerbate the volatile situation in Kabul.